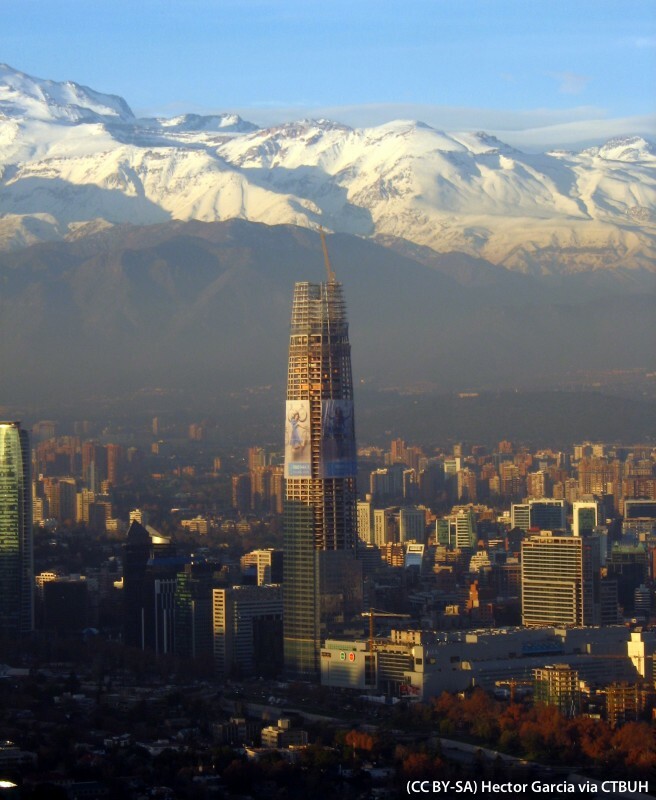 • Cladding	 Far East Aluminum Works Co., Ltd.
Torre Costanera's design comes from it's close proximity to the Andes, and the need to distinguish the tower against this dramatic backdrop. It has prompted a simple and clear form. 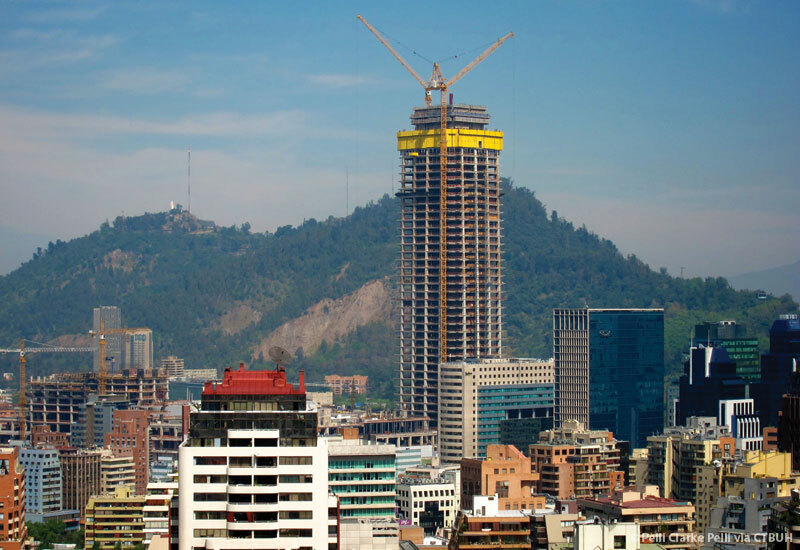 Rising from the northwest corner of the development next to the Mapocho River, the glass-clad tower has a slightly tapered, slender form that culminates in a sculptural latticed crown. The four corners are indented to accentuate its slenderness. 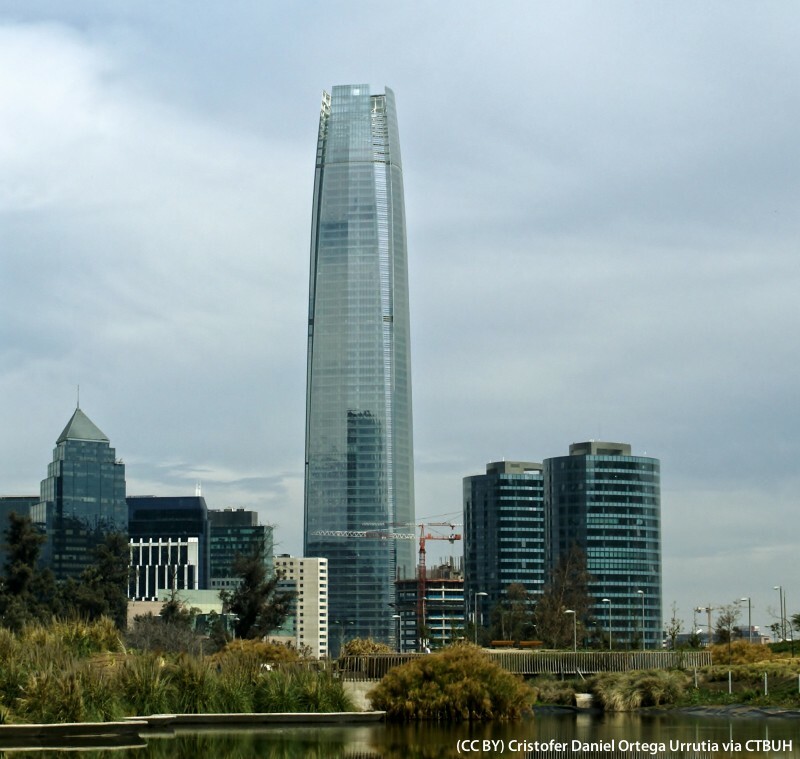 The glass surface of the tower strikes a delicate balance between transparency and reflectivity. 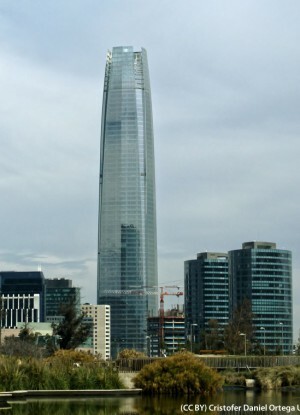 At the top of the tower is a dramatic steel and glass structure, providing a unique and elegant silhouette. This is a 21st century building, both technically and aesthetically. 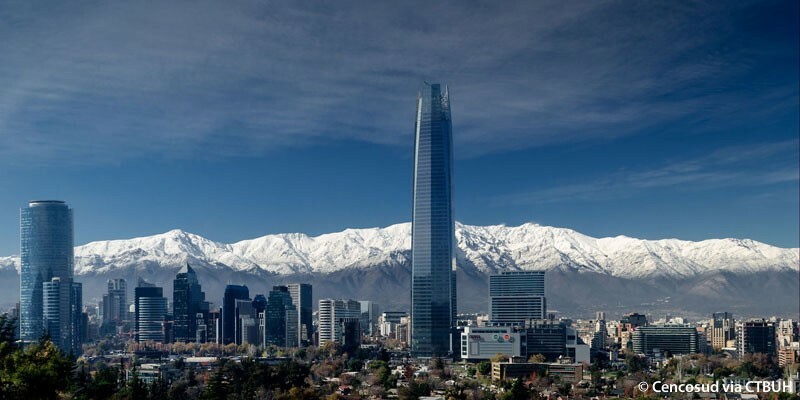 It is designed with state-of-the-art structural and mechanical systems, including a highly advanced outrigger system to account for Santiago’s high level of seismic activity. The cooling tower draws its entire water supply from the adjacent San Carlos canal. 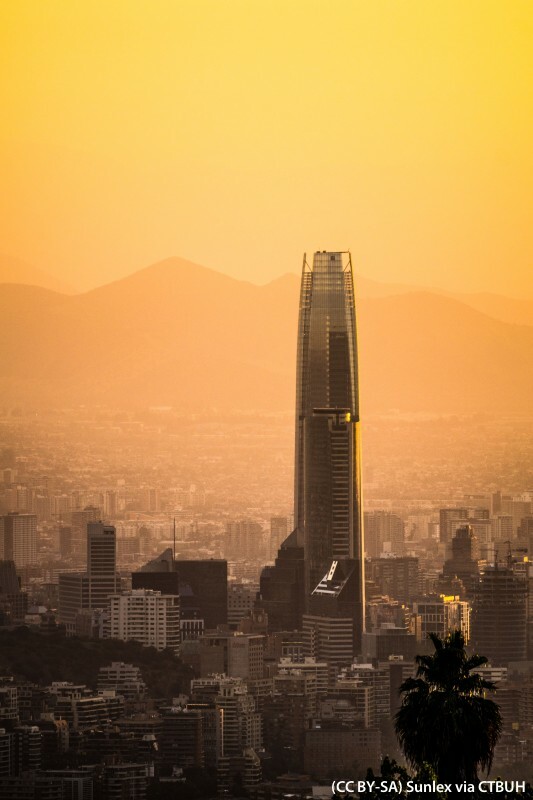 South America's first supertall building.